What’s a week without another Zuffa event? Thankfully for fight fans, they won’t have to answer that question this week because Strikeforce returns Saturday with a show featuring one of their biggest superstars. 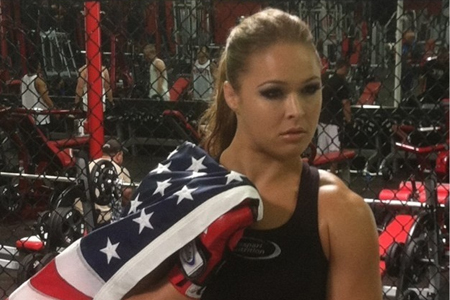 To help generate hoopla for the card, the mixed martial arts organization has released a promo video showcasing bantamweight champ Ronda Rousey (Pictured) and Sarah Kaufman – covered in latex. The 135-pounders headline this weekend’s Showtime broadcast, which starts at 10PM ET/PT.